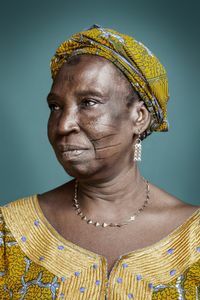 "Hââbré" is the same word used for writing / scarification” in Kô language from Burkina faso. 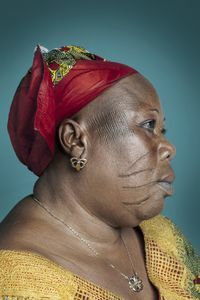 Scarification is the practice of performing a superficial incision in the human skin. 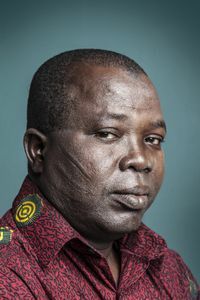 This practice is disappearing due to the pressure of religious and state authorities, urban practices and the introduction of clothing in tribes. 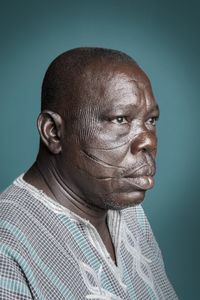 Nowadays, only the older people wear scarifications. During my research, all I found were pictures from the beginning of the century, and only a few contemporary images. I also had trouble finding people to photograph because of their rarity. 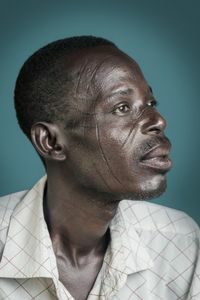 I used Studio portraits with the same background and same lighting to portray them in a neutral kind of way. No excuse, no judgement. 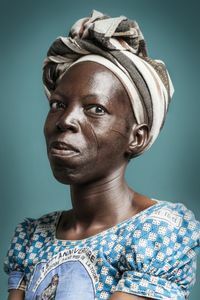 This series of portraits are taken from the back /front point of view to witness that they are anonymous, and that from the face, their identity suddenly pops. They have no more choice. Nowhere to hide. This fact leads us to question the link between past and present, and self-image depending on a given environment. 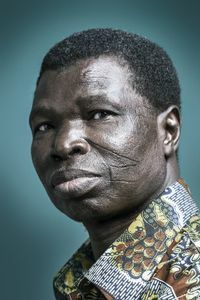 Opinions (sometimes conflicting) of our witnesses illustrate the complexity of African identity today in a contemporary Africa torn between its past and its future. 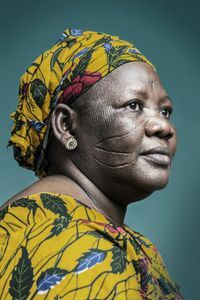 This “last generation” of people bearing the imprint of the past on their faces, went from being the norm and having a high social value to being somewhat “excluded”. 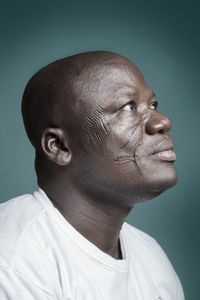 They are slowly becoming the last generation of scarified africain people, living in the same city / Abidjan. 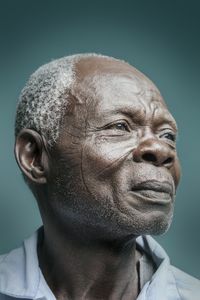 They are the last witnesses of an Africa of a bygone era.